Ex-police colonel Dmitry Pavlyuchenkov, who is charged with the murder of the journalist and human rights activist Anna Politkovskaya, has pleaded guilty and struck a deal with investigators. ­The Russian Investigative Committee brought charges against ex-policeman Pavlyuchenkov for organizing the murder of Novaya Gazeta reporter Anna Politkovskaya on Friday. Investigators discovered Pavlyuchenkov was paid in late July 2006 to mastermind Politkovskaya's murder, Investigative Committee spokesman Vladimir Markin said. He allegedly organized a gang to kill the journalist, supplied the murder weapon, drew up the plan and delegated duties amongst the gang members. On Saturday, the former chief of the fourth division of the Moscow City Police Operational Search Department struck a deal with the investigation and revealed all details and participants in the case, the Kommersant newspaper reports. In exchange for the information and a plea of guilty, lesser charges were brought, and the charge of masterminding the murder was dropped. Based on new information including Pavlyuchenkov’s evidence, investigators are now following a line of inquiry which suggests the murder was organized by Lom-Ali Gaitukaev, a native of the Chechen republic. 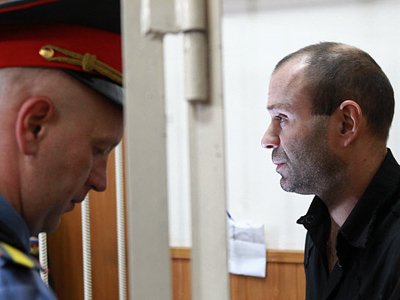 Gaitukaev allegedly created a group that included his nephews – the Makhmudov brothers – and Pavlyuchenkov. In June, prosecutors charged Rustam Makhmudov with the murder of Politkovskaya and he is currently under arrest and awaiting trial. Lom-Ali Gaitukaev was sentenced to 15 years in prison in 2008 for a different crime. The new information about who ordered the murder of the Russian journalist has not been disclosed to the public. Investigators believe it would be premature to release further details until they can be backed up by firm evidence. However, they have revealed that they believe the person who masterminded the murder is hiding somewhere abroad, the Kommersant newspaper reports. 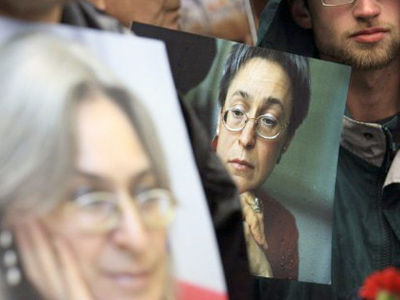 Anna Politkovskaya was shot on October 7, 2006 on the stairs of the building where she lived in Moscow as she was returning home. Investigators say her professional activities – which included exposure of abuses committed during the prosecution of the conflict in Chechnya – provided the motive for the murder.